The second monoprint in this series of 3, this one looks more like its namesake with the watery background and individual petals visible. You can even still see some of the brush strokes in the print, though other areas took on a soft, watery texture when run through the printing press. 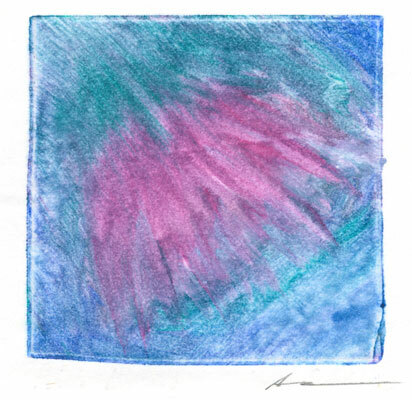 This single pink lotus flower floats in the center of a square sheet of paper with an equal amount of white space on all sides. 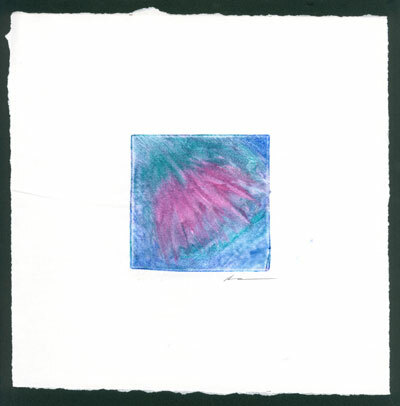 Lotus, 3″x3″ monoprint on 9″x9″ watercolor paper. The other two monoprints in the series are here and here.